. يعمل Red Cedars Motel على ضمان إقامة مريحة لضيوفه من خلال خدماته الممتازة وحسن ضيافته. يمكن للنزلاء الاستمتاع بالميزات التالية: واي فاي في المناطق العامة, صف السيارات, خدمة الغرف, غرفة عائلية, مرافق للشواء أثناء إقامتهم في هذا المكان الرائع. تتضمن كل غرف النزلاء وسائل الراحة والتسلية المصممة خصيصاً لضمان الراحة القصوى للضيوف. يقدم الفندق مجموعة رائعة من الخدمات كمثل حديقة، لجعل إقامتك تجربة لا تنسى. استمتع بخدمات لا يعلى عليها وعنوان ذو اعتبار في Red Cedars Motel . يرجى ملاحظة أن مكتب الاستقبال مفتوح حتى الساعة 9 مساءً. إذا كان النزيل سيصل بعد الساعة 9 مساءً، فيرجى الإبلاغ بذلك عند الحجز. مكتب الاستقبال يغلق الساعة 8 مساءً أيام الأحد والعطلات الرسمية. Stayed here 6 nights while I was finding a rental in Canberra. 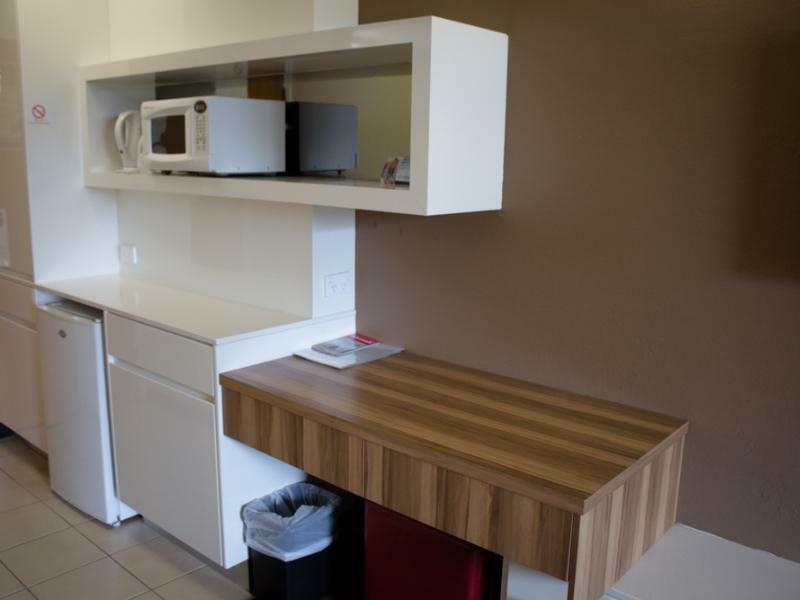 The room plus kitchenette was perfect for what I needed. It was clean and comfortable and the staff were very friendly. 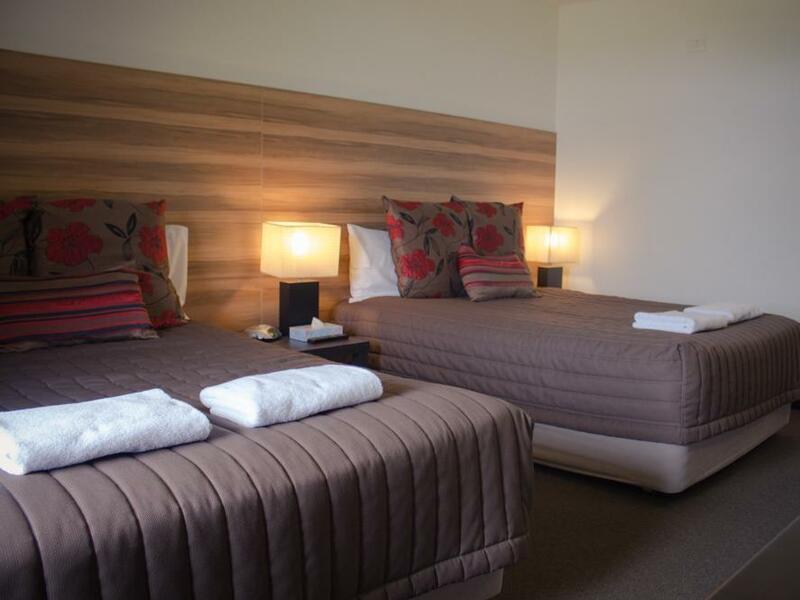 This motel is located very well on the Northern outskirts of the city and very close to the exhibition and showgrounds. Just off Northbourne Ave and not far from Dickson centre. 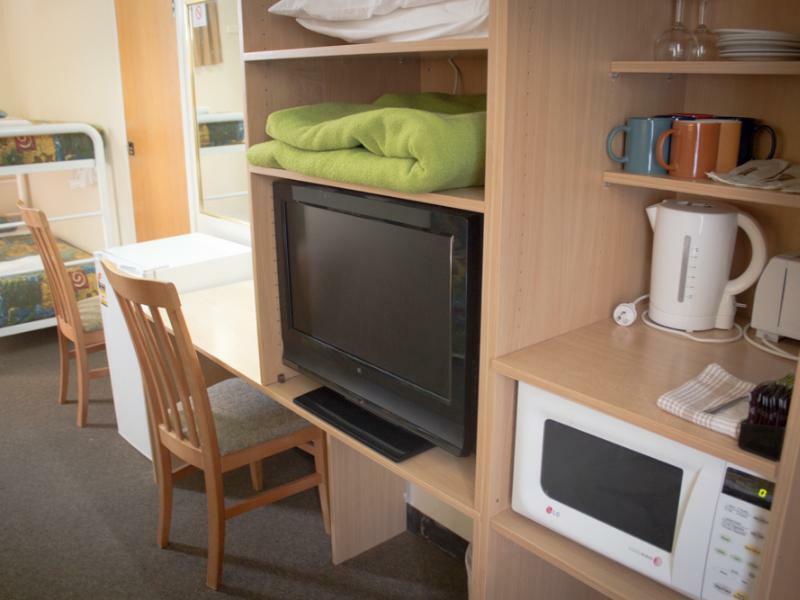 The rooms are quite large and have fully kitted kitchenettes. The decor is a little dated but clean and comfortable. Walls were a little thin with a small amount of next door noise being audible. It was good, good for price, location and clean. Would definitely come again and definitely recommend to family and friends. Location close to Canberra Centre and Dickson for food which is even better! Roomy unit which has some refurbishment. Bathroom ok, fan a little noisy, no shower curtain. Bedroom quite adequate with reverse cycle heating. Plenty of drawer space and other necessities. Service a little lacking on daily clean. Supplies replaced as required. Staff friendly and helpful. It was an ok stay, but not the room pictured above. Usually when I stay I do get a room similar to the photo, but on my recent stay it was more of a family room with a bunk in it. The room had a kitchenette that had a lock on the door. I closed the door to block the sun and couldn't open it, if I was inside, I wouldn't have been able to get out as you couldn't unlock the door from inside the kitchenette. Very strange! I had to ask the staff for a key to unlock that door. Also, it was a noisey room being close to the stairs, a noisey family next door didn't help, but that's not the hotels fault. We were a larger group and had 5 rooms. Unfortunately, there was inconsistency between them with one in particular being a disaster: no bedside lamps (requiring a stumble in the dark once the lights were switched off at the entrance), very poor walls and very noisy neighbors, but worst of all, an infestation of bugs in the bathroom. If you stay here, definitely examine your room beforehand, and bring earplugs! In another room, there were also annoyances. 1) The water temperature was freezing cold or scalding hot in most combinations. Turning one tap seemed to override the flow of the other tap. It took more than five minutes of turning the hot and cold water taps to get the mix to a workable temperature. 2) There was no shower screen. 3) The tv was password locked even though all channels were free to air. I had to ring reception to get the password. The tv also kept asking for the password every time I changed the channel. The bed was very comfy though. Nice place really close to Canberra, great for us as we were tourists for a couple of days! Everything we needed in the room, and it would comfortably sleep 4 people! We were very happy with our stay, and will be back again! 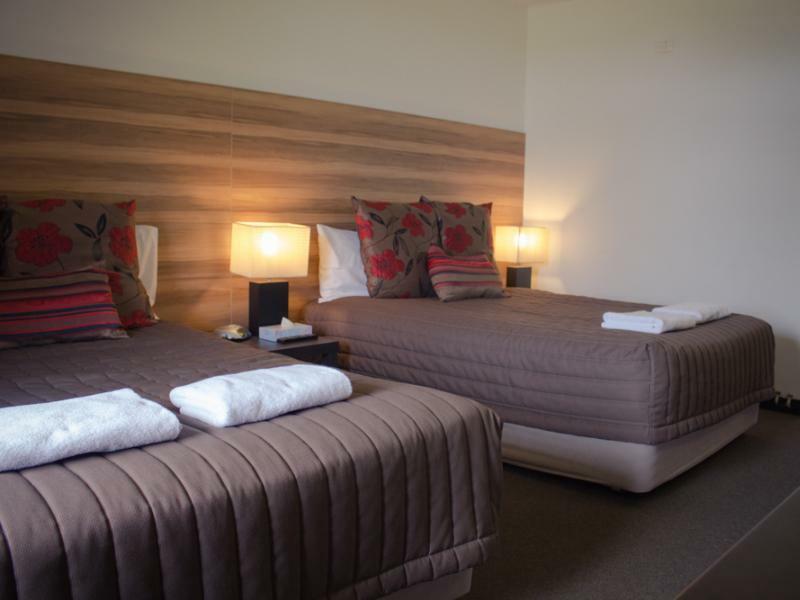 Close to all tourist attractions in and around Canberra, highly recommend for great budget accomodation. The room was clean and comfortable. Only a 15 minute walk to a nice spot for breakfast. Totally satisfied with my stay there and yes, I would stay there again. We enjoyed the stay at their twin room. We are disappointed that they do not provide breakfast. Clean, quiet and comfortable - what else is needed? 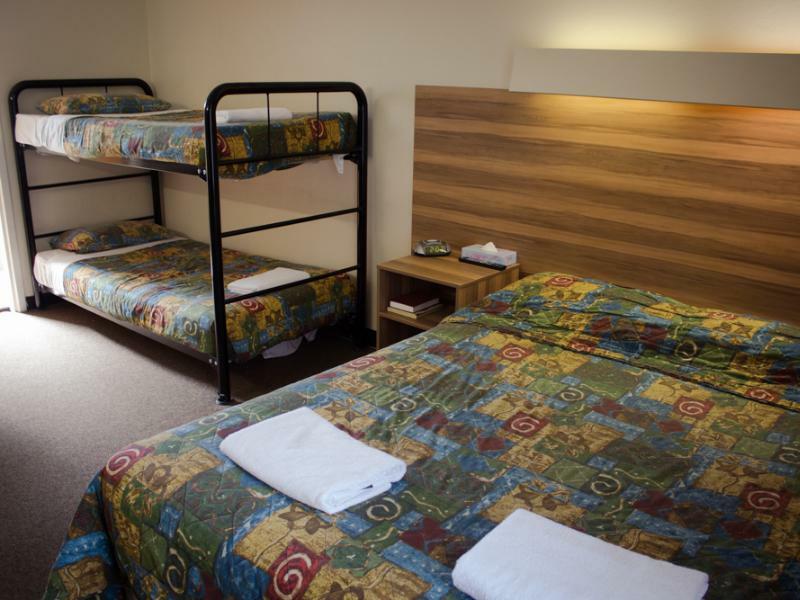 Although an older motel, it is a brick building so you are insulated reasonably well from the neighbours. Value for money, everything you can find in a hotel room can be found here with a much cheaper rate! Great proximity to the Showgrounds. Not central to the city but that has its’ advantages with good free onsite parking. Close to restaurants. Great staff. Easy to find. Plenty of parking. We intend to book in for another weekend soon. It was so much cheaper than all the other places we looked at. I wasn’t expecting much but was pleasantly surprised. Good sized rooms and very well kept! Would highly recommend! The a/c didn't work so we absolutely froze, it would blow warm air for 2 mins if you were lucky and then only blew cold air. Our entire family now is terribly sick with the flu! In addition, a window was slightly open and was unable to be closed making the room even colder. The bathroom was beyond disgusting with mould everywhere in the grout, you were unable to feel clean. The cleaners were rude. In the room there was not even enough tea and coffee for each person staying in the room. The bathroom had a liquid soap container but had no liquid soap in it. Definitely would not recommend staying at this motel, thankfully we only stayed one night and for our of their as soon as we.could in the morning. You can get much better quality elsewhere for the same price or slightly higher. Don't waste your money staying here. Value For Money.. Rooms were decent size and staff was great..